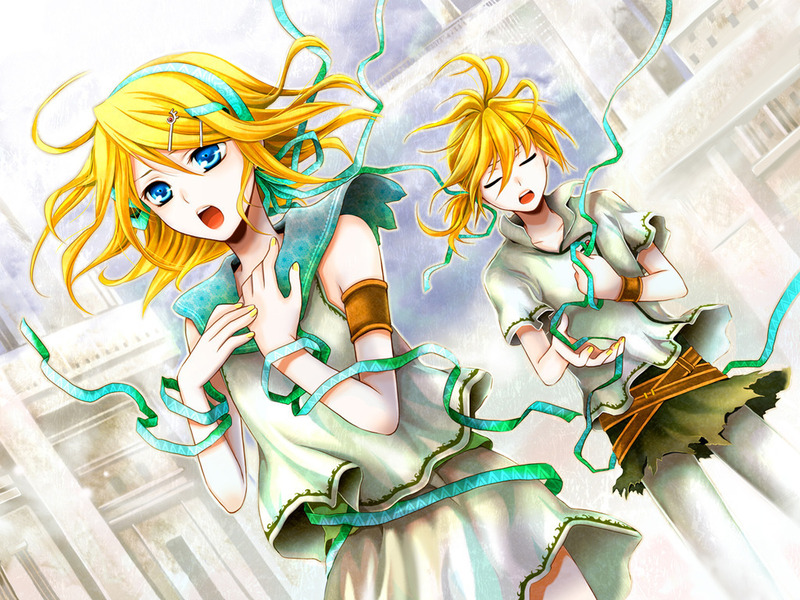 Rin & Len Kagamine Vocaloid Обои. . HD Wallpaper and background images in the Вокалоид club tagged: vocaloid wallpaper vocaloids len rin kagamine. i luv the hair too!!! WHY THE FREAK IS LEN WEARING A SKIRT, WELL HE NEEDS TOO.